Birdwatching has been a passion of mine for many years, and I have been fortunate to see some amazing birds in exotic locations that include South Africa and Tanzania. I saw this book on the library’s new book shelf, and I was immediately interested. Very few popular birding books are based on the scientific names of birds, which are usually in Latin. Most guides are based on common names and classes of birds, with the scientific name coming after the common name and listed in smaller print. I was intrigued by this approach, which uses the binomial system of genus and species, which scientists use to classify and study birds. These scientific names can be based on several things, including the features of the bird, places where they are found, and even the names of people. The authors hope that this approach will deepen your understanding of birds and make your birdwatching more fascinating. I was pleasantly surprised at how much I enjoyed this book, though I have a few quibbles with the actual listing of names which makes up the bulk of the book. The listing is actually a compilation of both genus and species names. But you only get one of the names, so if you have a specific bird you are looking up, you have to look up both names to get a full understanding of the scientific name of the bird. I also think an index of common names of birds matched to their scientific names would have been helpful. Without it, those of us who are Latin-deficient either have to browse through the list (which can be fun, but…) or we can grab a bird guide like Birds of North America by Ken Kaufman, find the Latin name of common birds we like, and then use this guide to find their scientific meaning in English. I like woodpeckers, so I did a search for some common woodpeckers I see around my bird feeder. The red-bellied woodpecker is Melanerpes carolinus, a black creeper from the Carolinas, whereas the Northern Flicker is Colaptes auratus, a golden chiseler. I could not find the complete scientific names for the downy woodpecker (Picoides pubescens) or the pileated woodpecker (Dryocopus pileatus), but I did find that picoides means “likeness of a woodpecker” and pileatus means “capped,” so you get at least a partial understanding of their names. And any new knowledge of the birds you love to see is a good thing. 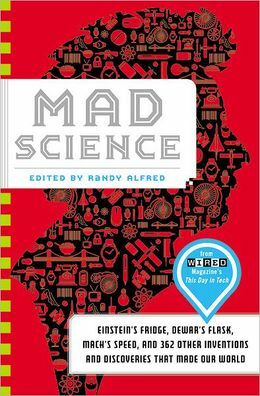 This book is packed with special features, including profiles of 20 genera of birds, including my favorite, Melanerpes, the largest genus of woodpeckers (with 22 species); Corvus, the genus of about 40 species of crows or ravens (known as the smartest birds in the world, they can make tools, play games and find hidden objects); and the beautiful but odd Phoenicopterus, which is made up of 6 species of flamingo. There are also 8 different bird themes covered in this book, including bird beaks, the color of birds, and feathers and the important role that they play in the life of birds. There are also brief biographies of 11 famous birders, including the well-known John Gould and the birder with the famous name, James Bond, whose book, Birds of the West Indies, was read by Ian Fleming, who decided to use his name for the hero of his novels. I highly recommend this book for people who are interested in knowing more about birds. And, if you like this book, you should definitely check out some of the other excellent birding books in the WRL collection, some of which I have reviewed for Blogging For a Good Book, including Angry Birds: 50 True Stories of the Fed Up, Feathered, & Furious by Mel White, Hand-Feeding Backyard Birds, by Hugh Wiberg, and Why Don’t Woodpeckers Get Headaches? And Other Bird Questions You Know You Want to Ask by Mike O’Connor. Check the WRL catalog for Latin for Bird Lovers. 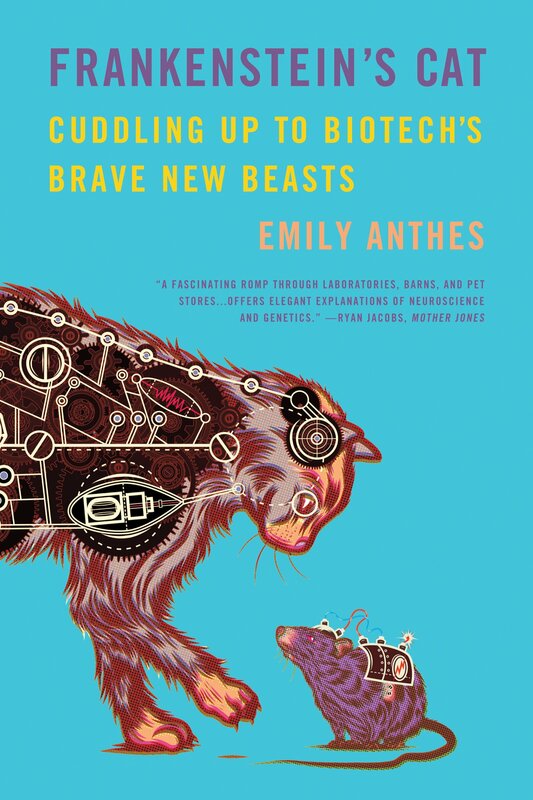 Emily Anthes is a journalist who has written for many science journals including Wired, Discover, and Scientific American and also has a master’s degree in science writing from MIT. In this book, she explores the many ways in which animals are involved with the latest advances in biotechnology. She has a breezy, easy-to-understand writing style, and I was impressed with the breadth of her knowledge and research (includes over 40 pages of footnotes). I enjoyed reading about the specific contributions to this science that many animals like Jonathan Sealwart, an elephant seal, and Artemis the goat are making, and her visits to some of them were often quite humorous. The production of genetically altered (transgenic) animals is perhaps the most controversial use of biotech. I was very interested in learning how some pretty-colored tropical fish won over a skeptical public in the U.S. to become the first and only transgenic animals sold in this country. These fish are called GloFish and they are derived from 2 types of tropical fish that are commonly sold in the US, zebra fish and white skirt tetras. What makes them unique is that they have an added dose of DNA from sea anemone or sea coral that make them glow in red, green and purple colors. I have enjoyed the aquarium hobby for years, and if GloFish can bring new people in to the hobby (like the author) all the better. I have also had my eye on one of the purple tetra GloFish and would like to add it to one of my aquariums. I just hope my 4 large angelfish don’t think he is a brightly colored dinner treat. A much more promising use of these new animals is in “pharming,” where their DNA is manipulated so that their bodies can create medicinal properties. Transgenic goats can produce milk with elevated levels of lysozyme, which has been found to be an effective treatment for diarrhea, a deadly disease that kills over 2 million children every year. These goats have also been used to produce antithrombin, an anticoagulant that can successfully treat life threatening blood clots. It is unfortunate that none of these pharming techniques have been approved in the United States, though other countries like Brazil are taking the lead in this type of biotech. I appreciated the author’s thorough review of the many ethical considerations in the use of transgenic animals and other types of biotech. She discounts the “Are we playing God” notion with these new animals by arguing that we have already tried to play God for thousands of years by manipulating the various types of animals through selective breeding. The results have not always been good, as is the case with canis lupus familiaris, the common dog, where we’ve created hundreds of unique breeds of dogs, many of which are saddled with crippling genetic diseases and conditions. One of the most important factors to consider is how the biotech affects the livelihood of the animals involved. Bernard Rollin, a philosopher at Colorado State University considers their fate with his “conservation of welfare” ethic: “If you’re going to modify a line of animals, the resultant animals should be no worse off from a welfare point of view – and preferably better.” The author thinks that most pharming animals would be able to pass this test, since studies show that genetic alteration does little to curtail their longevity and overall health. But she gives numerous examples of transgenic animals that would fail this test, including transgenic mice produced in Chinese labs with thousands of different kinds of deformities caused by messing with one strand of their DNA. If you read the book you will learn of other unique ways biotech is being used in the world of animals. You will learn why cats are far superior to dogs in the process of cloning. You will learn about a group of volunteers who helped design a prosthetic tail for a baby bottlenose dolphin after it got trapped and nearly died in a crab trap. And finally you will want to learn how a poor, lonely elephant seal got a name and got hundreds of friends on Facebook all through a sophisticated process of wildlife tracking. Two men exchange jobs for a year so that one of them, a comic artist named Etienne Davodeau, can write a graphic novel about their experiences. Richard Leroy, a wine-maker, takes Etienne through the whole one-year process of creating a good wine from his vineyard in the Loire Valley region of France. Etienne learns first-hand about the fine art of pruning the vines, selecting the right kind of barrels, using the right kind and amount of natural fertilizers, and knowing which grapes to pick – and not pick — at harvest time. Etienne gets to experience first hand the hard work that goes into making a wine as sweat is in ample supply on these pages. They are visited by an assistant of Robert Parker, the famous American wine critic and taster, who makes the long trip to France to sample several of Richard’s wines. Etienne introduces Richard to the world of the graphic novel, a subject with which Richard is completely unfamiliar. They start by visiting Etienne’s publisher, Futuropolis, and Richard gets to see the whole process of how a graphic novel is produced. Richard watches Etienne finish making the first proofs of the novel and is taken aback by how much paper is used to get these proofs. Richard also meets and interacts with the many people involved in getting the book finished and shipped. They have the most fun (as does the reader) when they make special trips to enhance their learning of and appreciation for their very different vocations. Richard takes Etienne on a trip to visit a vineyard in Corsica and on trips to several wine exhibitions, including one in Angers that features mostly “biodynamic” or organic wines from all over France. Etienne takes Richard to several comic book festivals and they visit several well-known graphic novelists, including Marc-Antoine Mathieu and Jean-Pierre Gibrat. It was refreshing to see how upfront and honest Richard is about his opinions, how he shares with them that he does not like many of their novels. The graphic novelists are fine with that; they agree that their graphic novels, like a type of wine, are not meant for everybody. I thoroughly enjoyed reading this book, my first graphic novel . 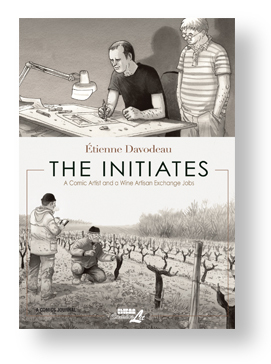 The black and white illustrations of Etienne Davodeau are excellent and really helped me understand and appreciate the steps that go into making both wine and graphic novels. This graphic novel has won several awards, including Gourmand Magazine Best US wine book translation and Slate Cartoonist Studio Award nominee. It is unfortunate that this is his only graphic novel that has been translated into English. If you are interested in wine, you should watch John Cleese’s excellent documentary Wine for the Confused and the wonderful movie Bottle Shock. Both are personal favorites of mine. One extremely cute family of three whales, including an adorable baby whale, that get trapped in the ice five miles from the shoreline near Barrow, Alaska, in 1988. Their desperate calls for help are very moving. Some extremely hazardous weather conditions, including temperatures as low as minus 50 degrees Fahrenheit , high winds, blizzards, and treacherous ice, mean that their chances of survival are slim, and make for exciting drama. 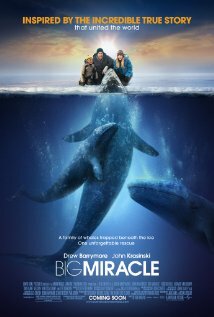 An extremely unlikely group of people join together to help these poor whales, including a Greenpeace activist (Drew Barrymore), a wealthy oil tycoon (Ted Danson), a local TV news reporter (John Krasinski), and a local Inuit tribal elder (John Pingayak). A typical movie like this pits the good-guy activist against the bad-guy industrialist, so it’s refreshing to see them all working together for once, even if they have ulterior motives for helping. The actions of this group bring about some amazing results. The local TV news reporter, who first discovers the whales, does a feature report about their plight for the local Anchorage news. The story is picked up by the national news, and quickly goes international. Before long, thousands of reporters from all over the world are descending on little Barrow, Alaska. More importantly, the news reports bring people to the town who think that they can help in the rescue operation, including two brothers from Minnesota who have invented a de-icing machine. The situation on the ground quickly becomes desperate, as the rescuers race around the clock and face crisis after crisis to save these whales. I won’t spoil the story, but I will say that it involves a lot of ingenuity on the ground and help from the Alaska National Guard and an icy neighbor of the United States. And I won’t say if all three of these whales make it out alive (oops, maybe I have said too much). This exciting, feel-good movie is based on true events in 1988 as set forth in Thomas Rose’s book Freeing the Whales. The acting is top-rate, and I especially enjoyed Drew Barrymore as the Greenpeace activist Rachel Kramer. In one scene she dives under water to check on the health of the whales, which I found to be very memorable and sad. I also enjoyed watching media clips from 1988 of Tom Brokaw, Dan Rather and Peter Jennings when they were still in their prime. This gives the movie a sense of authenticity (reminding viewers that this was a real story) as well as a sense of nostalgia for older viewers like myself who remember watching these famous TV news anchors. The Big Miracle is an exciting movie that I highly recommended watching, on or off the beach. Otters have got to be one of the cutest, most adorable animals in the world. They are also one of the most helpless animals when they are newborn. When a baby otter in distress is found near Monterey Bay, California, marine biologist Karl Mayer begins the long and difficult process of rehabilitating and educating this otter so that he can eventually be reintroduced back into the wild. This documentary is the story of this otter, nicknamed Otter 501 because he is the 501st otter to be rehabilitated by Mayer and other biologists at the Monterey Bay Aquarium. Fortunately for Otter 501, much has been learned about what works and what does not work in this type of rehab since the first otter was helped many years ago. Otters who enter the program are assigned a number rather than a name, and staff wear special suits with large welding helmets that prevent the otters from recognizing them. The star of the program is Toola, a female otter who gave birth to a stillborn pup when she was in rehab herself, and now is used as a surrogate mother to pups like Otter 501. It is quite moving to see some of the key moments in the relationship that develops between Toolah and Otter 501, which include the moment she first gains his confidence and when she shows him how to dive underwater in one of the main tanks at the Monterey Bay Aquarium. Prospects for Otter 501 to survive in the wild are not great, but Toola gives him a fighting chance. I won’t give away the ending, but it is a bittersweet one — be sure to have the tissues nearby! There is a wealth of information about otters presented here, much of it new to me. Some of it is quite sobering. One of the most depressing facts is that this animal, once prevalent from Northern Russia into Alaska and all the way down the Pacific coast of the United States, was hunted to near extinction in the late 19th century. The 2000 or so that are left (up from 50 at first count) are carefully monitored by marine biologists. The many fascinating behaviors of these endangered animals are sure to mesmerize you. My favorite one was watching them crack open clam shells with a stone on their tummies while they float on their backs in the water. There is a lot to like about this documentary. The cinematography is excellent: the views of Monterey Bay were gorgeous and the many close-ups of otters were exceptional. I plan on watching other fine programs in the Nature Series put out by PBS; WRL has over 30 of these programs. There is nothing like seeing these creatures live and up close. The Virginia Aquarium in Virginia Beach, VA has an otter exhibit that I enjoyed seeing a few years ago. A little further away in Atlanta is the Georgia Aquarium, the world’s largest aquarium and one of my favorite places I have visited. It has several exhibits that feature otters, it has a special Sea Otter Encounter Program, and it is actively involved with otter rehabilitation like the Monterey Bay Aquarium. This is a great documentary, and I highly recommend it to anyone interested in animals and animal rescue operations. 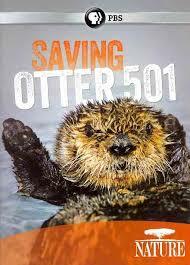 To further entice you to see this, you can see a short video clip and nine incredibly cute pictures of Otter 501 here. This daily guide to memorable inventions and discoveries comes from Wired magazine’s popular blog “This Day in Tech.” The book covers a wide range of subjects, including medicine, computers, food and war. Each article is short (one page) and concise. The daily entries also mention two other discoveries made on the same day, as well as two discoveries made in the same year. I found most of the articles to be entertaining and informative, the perfect material to use at your next cocktail party. For instance, I thought it was interesting that on November 11th, 1930, Albert Einstein applied for a US patent for one of the few commonplace inventions of his life, a refrigerator that used a complex process involving ammonia, butane and water. It was exceptional because it didn’t use freon or electricity, but it was not nearly as efficient at cooling as standard refrigerators of the time, so it never became a commercial success. Modern researchers have tweaked his formula and have been able to increase the cooling capacity of his refrigerator, so the verdict is still out on Einstein’s fridge. Some of these inventions didn’t catch on right away with the public. Sylvan Goldman of the Humpty Dumpty supermarket chain in Oklahoma City came up with one of the first grocery carts on June 4, 1937. He wanted to make it easier for his customers to carry their groceries, and at the same encourage them to buy more, but the public initially resisted using them. Women thought they were unfashionable and men feared that using them would make them look weak. So he hired male and female models to push them around in his supermarkets, and before long the grocery carts became a huge success. Some of these inventions had unintended uses that became much more popular with the public. My favorite one in this category involved a Dr. John Kellogg, a strict Seventh-Day Adventist who taught the importance of a healthy diet to his mostly wealthy patients at his sanitarium in Michigan. He came up with bland cornflakes as a way for his patients to achieve a balanced diet. But his brother Will saw a different opportunity by adding lots of sugar to those cornflakes and, with lots of marketing savvy, the Kellogg cereal company quickly became a big business. John of course was very unhappy with the way his brother Will was using his cornflakes, and he sued him in court and lost. Most of these articles can be found on “This Day in Tech” blog on wired.com. The online versions are slightly longer than those in the book, with larger pictures and text size, so they are easier to read. The online stories aren’t indexed, though you could try a Google search for “This Day in Tech” and the title of the entry you want to read. I enjoyed reading these both online and in print, so I would encourage others do the same.